The market is currently around 1295, up big on the day as expected. I'm expecting a brief pause here at the 20 SMA, with a possible pullback to the fan line at 1289 or 1290. But, the trend is still up. 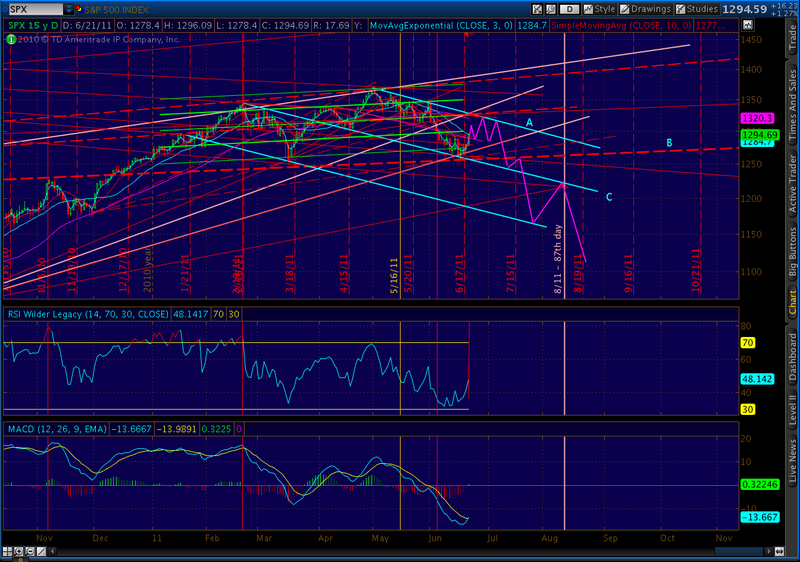 There is a more significant correction coming, probably around 1311. It should take us back to the fan line at 1287 before the final push up to 1320-1325. There is still the possibility that we'll continue beyond this range, but that's in the hands of Bernanke and the sales job he's able to do on Wednesday. I'll be looking to snug up those stops as we approach 1320. I've updated the second chart below with expectations for the next couple of months. Anyone who wants to throw an EW count against the wall based on these charts, have at it. There's nothing about the economy, the employment picture, the global credit market, military conflicts breaking out everywhere, etc. 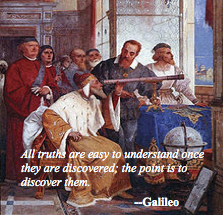 that I find promising. Long term, we're no doubt screwed. But, in looking at market tops all weekend long, I still can't find a single instance of a market falling off a cliff without, first, some kind of retracement to the midline of its recent price action. I'm staying with my June 16 call for a strong rebound this week. 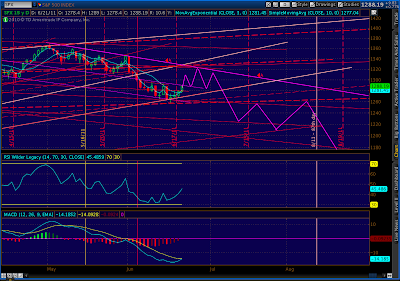 The target of 1320 looks good, depending on timing. We just need to break through the fanline that's been limiting us, currently around 1290. Next, we'll pause around 1310, maybe retrace 5-10 points on our way to the trendline (A) off the 1370 top -- the limiting factor to this whole rally. It's at 1327 today, but the target gets a little lower every day. So, our upside is strictly a factor of how quickly we get there. I'll put a prettier chart when I get the chance, but this is roughly what I have in mind. It'll be important to keep some perspective. 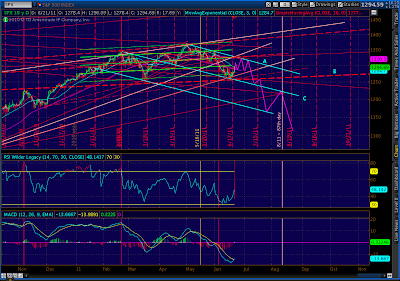 As the rally unfolds, it'll start to feel very bullish. Many will call it the next Minor 5 up. I don't think it is. I think we'll be contained by that trendline and work our way down from there. 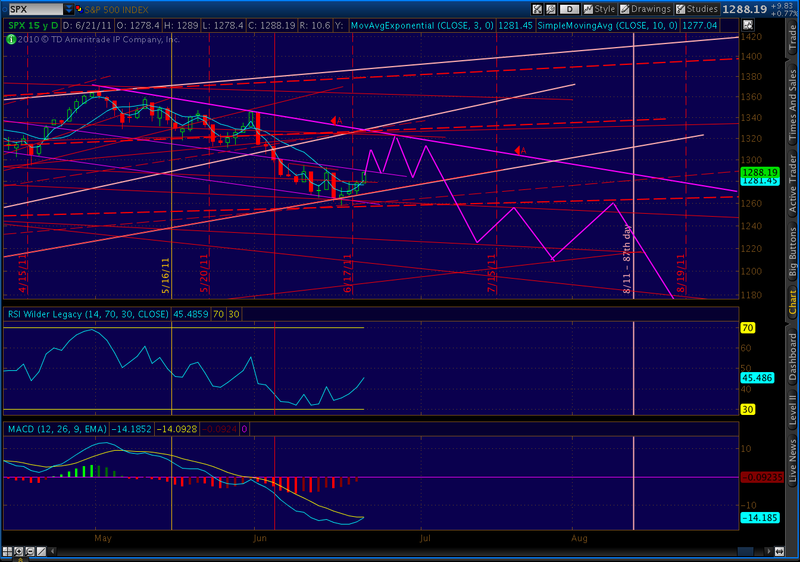 My plan is tight stops all along the way, taking into account the pause at 1305-1310. I imagine the massive head and shoulders pattern will be obvious by time we make our lower high around July 4th, and aside from some backtesting of the lower end of our channel, the market should plunge around mid-August to it's first stop around 1200. Here's the updated chart as of 11:25 AM PDT.